Selective Mutism (SM) is a severe situational anxiety disorder which affects both children and adults. The condition generally starts in early childhood but can, if not treated early enough, continue into adulthood. Children and adults with SM are often fully capable of speaking (though many have masked speech problems / delays), but cannot speak in certain situations because they are phobic of initiating speech. As a phobia of communication, a child or adult with SM will be mute (it is an instinctual response which can feel inexplicable even to himself / herself) in the presence of a given collection of people or indeed an individual person. The pattern of speech-related anxiety varies depending upon the person's life-experience. The pattern can be quite general - encompassing the whole school environment. Or it can be more specific - for instance with a grandparent, parent or step-parent. As such, role can, sometimes, be involved. Or it can be a complex mixture of both. The mean age of onset of Selective Mutism is between 2.7 and 4.1 years of age, which is long before the mean age of onset of Social Anxiety Disorder, which generally develops during adolescence. SM often first becomes apparent when a child enters a communal environment outside the family home for the first time - for instance when a child begins playgroup or school. While SM has a very early mean age of onset, sometimes SM (either absolute silence or extreme reticence) can last for a child’s entire time at school - until the day they leave at 16 or 18. Generally, but not always, it contributes to academic underachievement, school refusal, and a torrid school life, etc. despite children with SM often being of 'above-average intelligence'. School is not the only situation in which muteness can occur, however. SM being an education-only issue is a stereotype, thus incorrect. Many children (including those primarily mute at school) may also not be able to talk to certain relatives (e.g. grandparents or aunties or uncles etc.) In rarer cases, some children with SM may not be able to talk to their parents or step-parents either. Children and adults with SM do not choose to be silent in the situations in which they cannot speak. They genuinely cannot speak because attempting speech rouses too much anxiety. Almost all children and adults with Selective Mutism would love to be able to speak in every situation they cannot. They are not making their difficulties up, being difficult, rude, antisocial, or anything else. Overview of Selective Mutism - written for the Victoria Derbyshire programme and the BBC News Article on Selective Mutism in adults. This article may be useful if you are new to Selective Mutism and would like to read an overview of the condition. Sources of help are available for children with Selective Mutism. Help for young adults with SM is currently sparse however. 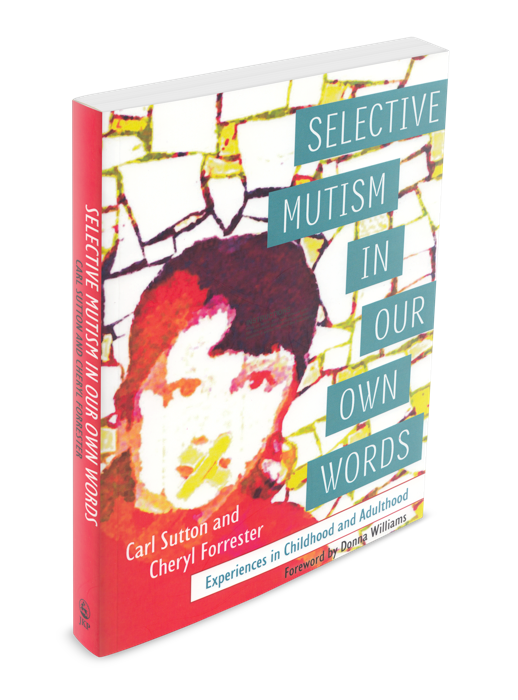 Featuring the life experiences of around 40 adults and children with personal experience of Selective Mutism, in their own words, our new book is out now! Published by Jessica Kingsley Publishers, the book is available in paperback (£14.99 / $21.47) and on Kindle (£12.75 / $19.31). Comedy performer and broadcaster Helen Keen explores the impact of a condition she once suffered from, known as Selective Mutism: an anxiety disorder that has been described as a phobia of speaking. While Amber has recovered from SM now, and supports people with SM through her own website (www.ambercolon.com), this is a very moving first-hand account of SM. Carl writes about SM - what is it, what is like to experience, and the long term repercussions of suffering from it. Carl write about the myths surrounding SM and challenges them - including SM being a childhood-only or school-only issue, neither of which are true. Carl, the founder of iSpeak, writes about growing up with Selective Mutism in an online article commissioned by Rethink. Carl's poem for Selective Mutism awareness month! A free booklet explaining Selective Mutism by Maggie Johnson and Alison Wintgens.